As professional dancers, we are in many ways considered both athletes and artists. As athletes we are constantly practicing and training in preparation for competitions. 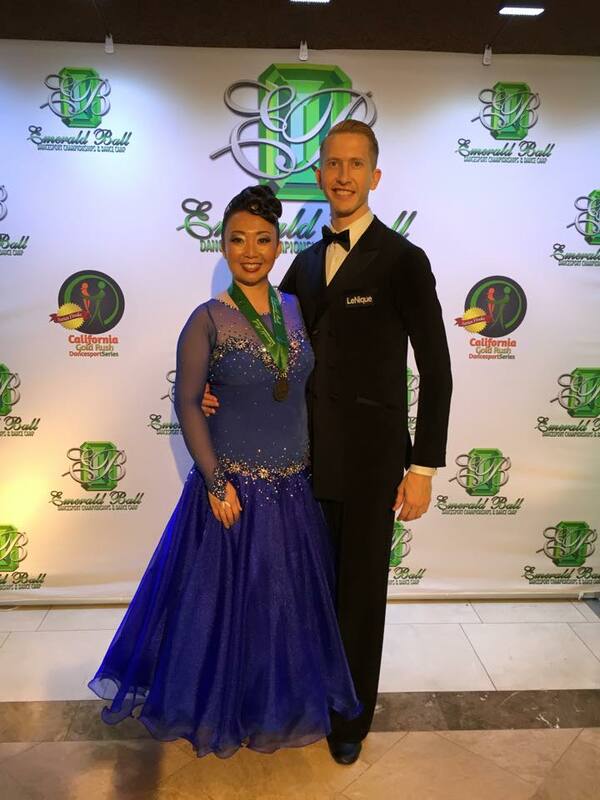 Much like any other sport, ballroom dance in its competitive form requires high technical skill and intense physical exertion. Couples compete against one another in dances such as waltz, tango, and foxtrot (to name a few). They are scored by a large panel of adjudicators on elements such as poise, posture, expression, footwork, dynamics, musicality, technique, etc. Dance in no doubt requires a lot of artistry to make it beautiful. In that aspect, we are artists. As a couple, our primary objective is to present ourselves in a manner that pleases the outside eye and creates an emotional response from the observer. We entertain. We connect with the audience in a way that is more similar to actors or singers. With all the physicality involved in dance, our task is to make it look easy and place a lot more focus on the overall presentation. Dance is a beautiful sport! Like most professional dancers, we make most of our living through teaching. We are constantly developing our own skills and abilities but much of our daily life consists of sharing our knowledge with students. Individuals and couples of all ages can learn to dance regardless of height, weight, and most physical ailments. Our students range from children to the elderly, all learning to dance for a variety of reasons. Dance is truly for everyone. "Dancing with the Stars" has helped prove this theory. As dance instructors, we teach individuals for various reasons and circumstances. A student may seek out dance instruction for social reasons, competitive purposes, or simply because they enjoy dancing. Our job is to provide our students with instruction that is specific for their own needs and benefit. If you are interested in learning to dance for the first time or in improving your dancing, we would love to help. We provide dance instruction and choreography for all styles of ballroom dance: Latin American, International Ballroom, American Smooth and Rhythm, West Coast Swing, Night Club, Social, Country.